The tree called the andiroba is a large and towering tree found in the tropical rain forests of countries in the tropical regions of the world such as Brazil, the forests of Colombia, and Guyana-specimens are known to grow to an astounding 300 ft or 90 meters in the height, forming an important part of the rain forest canopy. The andiroba is known for the kind of flowers it produces, the tree gives out very fragrant smelling flowers when in blooms. 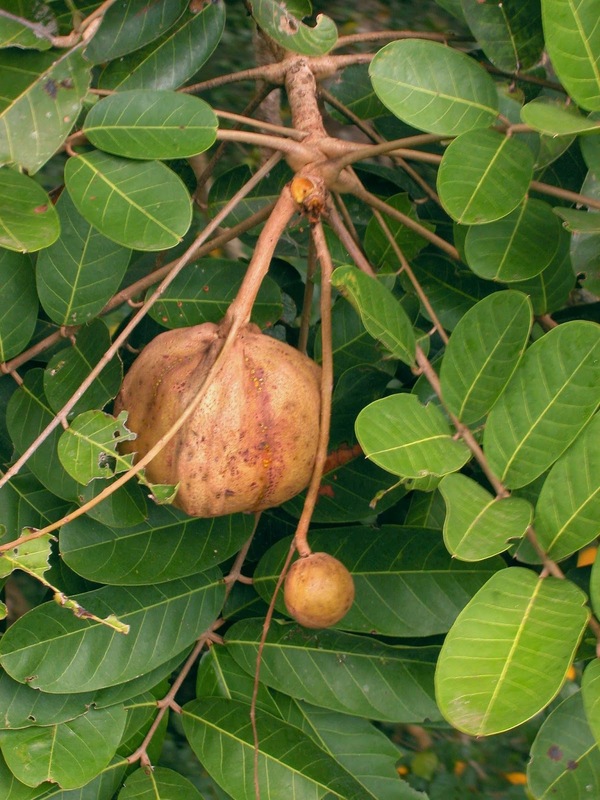 The tree also produces a brown nut, which is woody and four-cornered measuring from three to four inches-about eight to ten centimeters across its length. 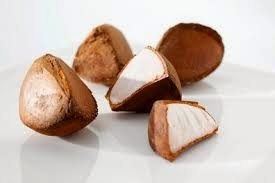 This nut resembles a chestnut and has a very oil rich kernel in the middle. The andiroba seed oil, bark and leaves may not attract the lumber mills, but these portions of the andiroba tree shine with myriad medicinal applications. Rich in compounds known as limonoids, the seed (nut) oil possesses anti-inflammatory properties welcomed by sufferers of arthritis and rheumatism. Damaged skin improves with topical applications of andiroba oil, an example being the lessening of skin flaking in cases of psoriasis. Popular anti-wrinkle creams such as Oil of Olay and Aveda contain andiroba oil. Local tribes make soap and candles with the oil, the latter product serving effectively as an insect repellent. The bark exhibits antibiotic activity, and the andiroba flower shows promise in cancer research for its anti-tumor capacities, especially regarding skin and uterine cancers. The traditional use of the bark and the leaves by the Northwest Amazons was in reducing fever and they also boiled the bark and leaves for use as an herbal worm inhibiting tea. Topical remedies were also prepared from the tree bark and leaves for external application as a wash for the treatment of all kinds of skin problems, to treat different ulcers, and in the treatment of insect bites, this remedy was also applied on the skin as a natural insect repellent. The seed oil has been traditionally used by Brazilians to treat arthritis and for its anti-inflammatory properties; the oil from the fruit is also ingested to treat persistent coughs. People take a tea made from andiroba bark and leaf to treat fevers, herpes, and worm infections; and as a tonic. Scientific tests conducted to check the potential beneficial effects of the andiroba has demonstrated conclusively the bark has a bactericidal action, that the flowers act as anti-tumor agents, and that the heartwood has antifungal or fungicidal properties. The possible anti-carcinogenic properties of the andiroba have also been probed during tests at the Museum of Medicinal Plants in Macapa, Brazil, this study in 1993 suggested that andiroba may indeed posses some properties that are anti-carcinogenic. The herbal oil packed in gelatin capsules have been used to treat cases of internal cancers in Brazil-though their effectiveness has not been definitely proven in this role. The anti-inflammatory property of the oil of the andiroba is because of the fact that the oil contains chemical compounds known as limonoids as a major constituent. This chemical compound present in the herbal oil actively promotes the normal circulation of blood in the skin and aids in bringing relief from the pain and swelling during an injury. The various beneficial effects of herbal remedies made from the andiroba oil to specific health conditions include the ones given below. The highly emollient oil is effective at moisturising dry cracked skin and is used in products intended to heal eczema and psoriasis. 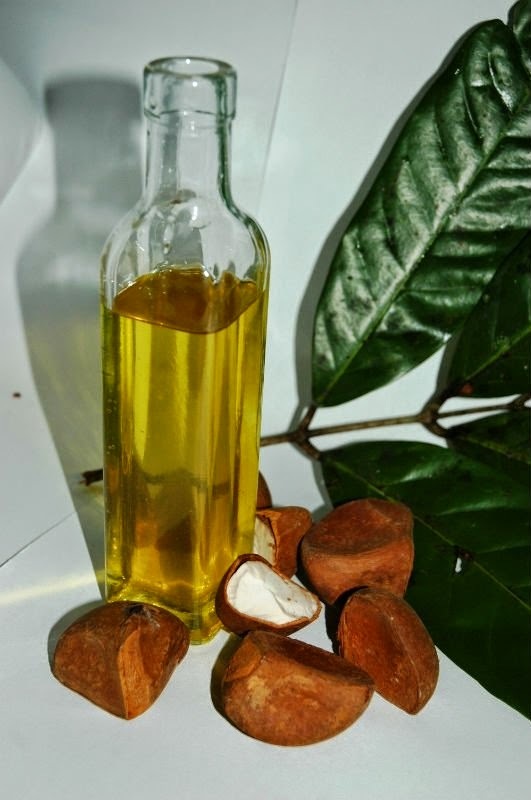 Andiroba penetrates the skin quickly, acting as an excellent emollient carrier oil. Baobab is naturally high in limonoids and triterpenes which are anti-inflammatories, which is why Andiroba is often found in formulations for musclar aches and pains and products intended to reduce swelling. Topical applications of herbal andiroba oil are often daubed directly on to the affected skin. This herbal oil has also seen use as a natural oily base for many antiwrinkle creams such as Aveda and Oil of Olay-which are very common cosmetic products. The main benefits of the oil for skin is that the beneficial fats present in the oil aid in the transportation of healing alpha hydroxy acids and other essential ingredients-all of which are important in moisturizing and protecting the skin from the ravages of disease and time. It is known that the Brazilian Football Team has been using Andiroba oil as a muscle relaxant. They rub and massage this oil to their bodies after every game. The oil of the andiroba contains high quantities of the beneficial omega-3 fatty acids. When the oil is applied onto the skin, all of these essential fatty acids become quickly and completely absorbed, passing into the skin and they are circulated rapidly towards the region of the body with a fracture in the bone. Once present in the affected region, these essential fatty acids help in eliminating the production of various natural chemicals which can cause inflammation and restrict the normal circulation in the area. The swelling is slowly reduced by the increase in circulation of blood promoted by the applied oil-at the same time, the presence of the oil also decreases the body's production of all inflammatory chemicals and this results in a reduction in the pain felt by the affected individual. 65% of Andiroba Oil’s composition is made from EFAs or Essential Fatty Acids. Essential Fatty Acids are also known to promote healthy and natural hair growth. It also treats damaged, curly hair without the greasy after-feel. You will find many salons offering to apply warm Andiroba oil to people with curly hair because the warmth of the oil stimulates blood flow in the scalp which ultimately results in healthy hair growth. There is not enough reliable information about the safety of taking andiroba if you are pregnant or breast feeding. Stay on the safe side and avoid use.